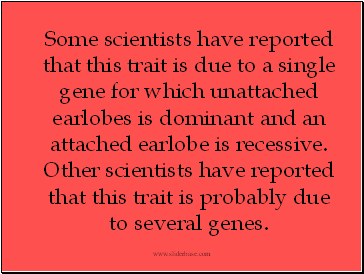 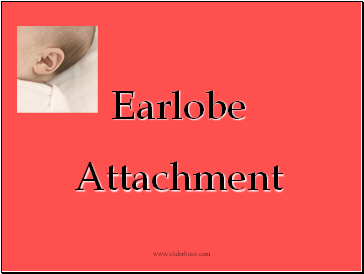 Some scientists have reported that this trait is due to a single gene for which unattached earlobes is dominant and an attached earlobe is recessive. 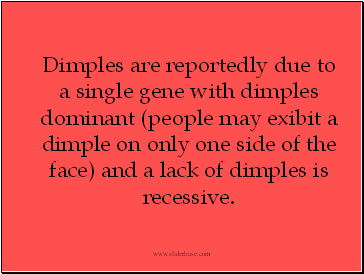 Other scientists have reported that this trait is probably due to several genes. 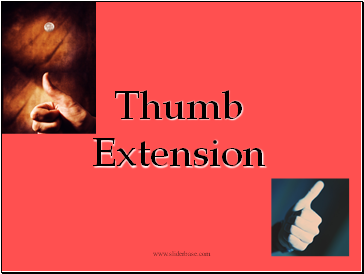 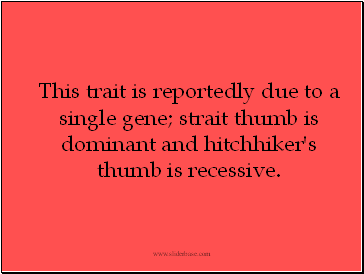 This trait is reportedly due to a single gene; strait thumb is dominant and hitchhiker's thumb is recessive. 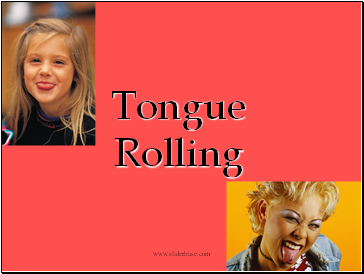 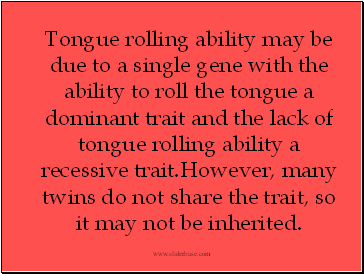 Tongue rolling ability may be due to a single gene with the ability to roll the tongue a dominant trait and the lack of tongue rolling ability a recessive trait.However, many twins do not share the trait, so it may not be inherited. 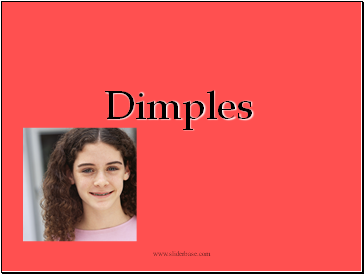 Dimples are reportedly due to a single gene with dimples dominant (people may exibit a dimple on only one side of the face) and a lack of dimples is recessive. 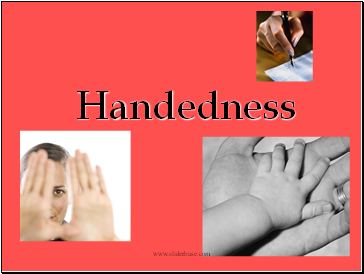 Some scientists have reported that handedness is due to a single gene with right handedness dominant and left handedness recessive. 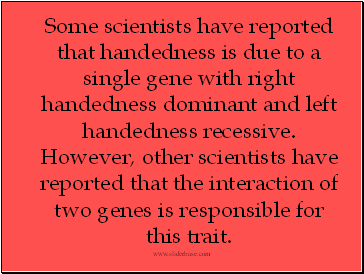 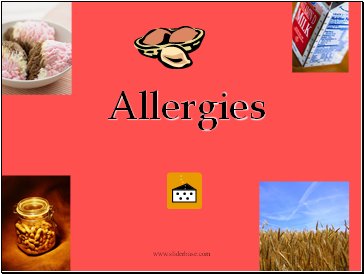 However, other scientists have reported that the interaction of two genes is responsible for this trait. 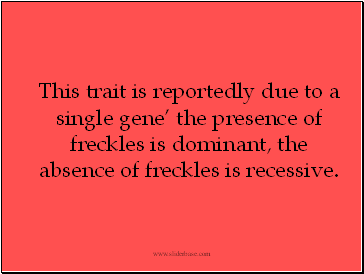 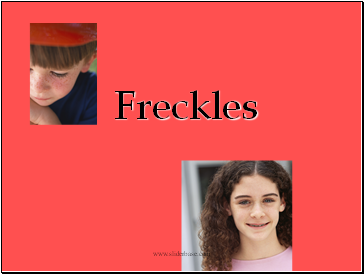 This trait is reportedly due to a single gene’ the presence of freckles is dominant, the absence of freckles is recessive. 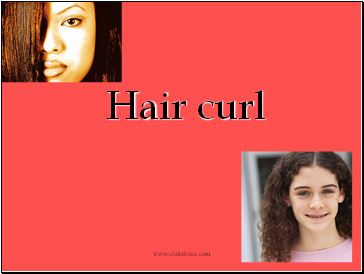 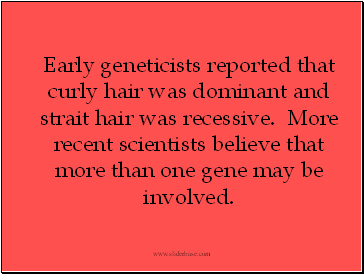 Early geneticists reported that curly hair was dominant and strait hair was recessive. 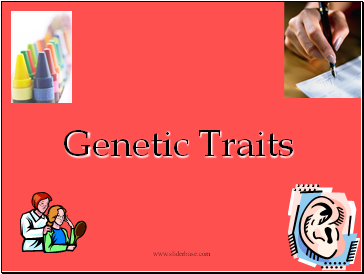 More recent scientists believe that more than one gene may be involved.